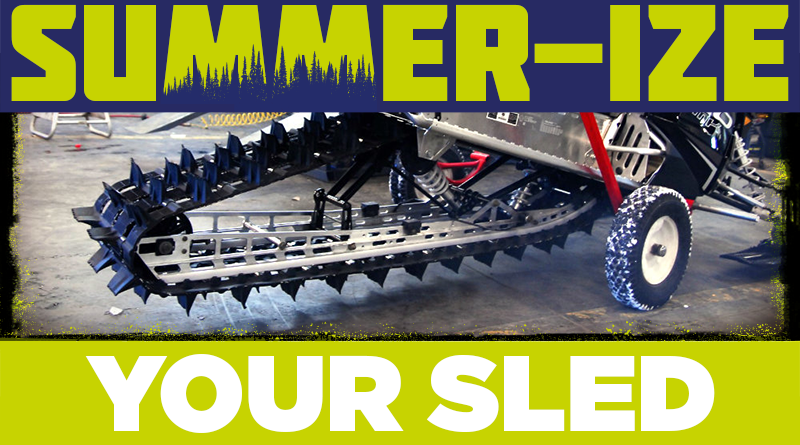 If asked to summarize your sled, you’d probably say, “Fast, loud, and maneuverable.” But today, we’re talking about how to Summer-ize your sled: Getting it ready for a long summer’s nap. 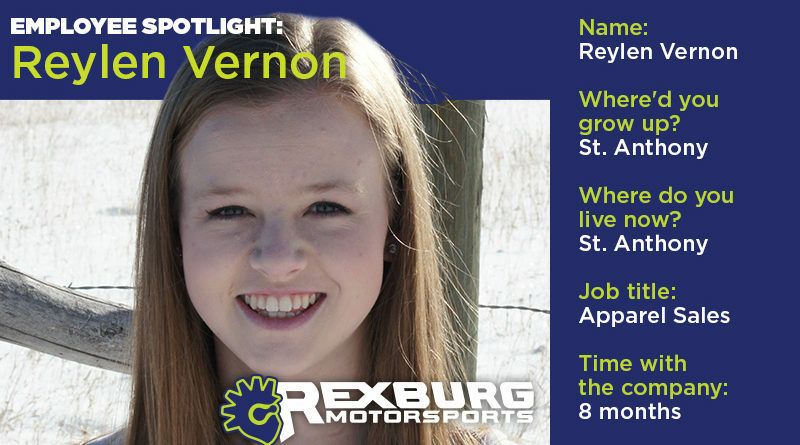 Spring is definitely here, so it’s time to put the snowmobile away for the warm season. Here are some helpful tips for long-term sled storage. You’ll find that if you take care of your machine during the summer months, you won’t have any problems when the white stuff is flying and it’s time to take it out to play again. CHANGE THE OIL: Change out the chain case oil. On four stroke sleds, change the crankcase oil and oil filter. Oil breaks down over time and builds up corrosive particles from engine combustion so it’s important to have fresh oil in it even though it will be sitting for the summer. GIVE IT A BATH: Take your snowmobile to a car wash or use a high pressure washer to clean off all the crap and grime from the track, runners, and suspension. Clean everything under the hood but don’t use the high pressure spray for that to avoid forcing water into any electrical components. If you do want to use the sprayer, just keep it a good 5ft away from the machine. If you have a lot of oil and grime under the hood, use a foaming degreaser and let it set, then rinse it off after 20 min or so. Take off the clutch cover and drive belt and clean pulleys with a clean rag or shop towel and some light duty solvent. WAX AND DRY: Once your done cleaning, dry everything off and protect it with a good quality wax. This will extend the life of your plastics and also make it easier to keep clean. LUBRICATE: Make sure to grease the sled at all grease zerks (see photo) with special attention to suspension components. 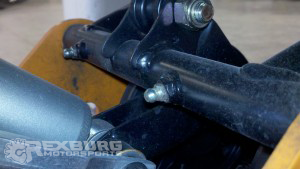 New grease will allow your suspension to work better, but also protect against moisture. It’s also a good idea to lubricate your engine cylinders with an upper cylinder lubricant of fogging oil. Doing so will help prevent early engine failure by keeping moisture off of the internals engine parts (valves, piston, rod, etc.). Some engines like the E-Tec have a program that will fog the engine with extra oil for storage. Give other external metal parts a good wipe down or spray with some light oil to keep them from rusting or corroding as well. Just make sure not to get any oil on the clutch or CVT components or belts. 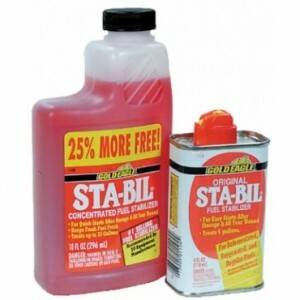 STABILIZE GAS: Add some fuel stabilizer to your tank to keep the fuel from deteriorating over the summer. Follow the directions on the bottle for the correct mixing procedure. Topping off the tank with fuel is not necessary but recommended to prevent condensation in the tank. JACK IT UP: It’s a good idea to keep the skis and track off the ground for the summer by suspending the sled from your garages ceiling if possible (may sound strange, but we’re serious). If you can’t hang it, prop the tunnel up with something and also place something under the body to keep the skis off the ground. Doing so will keep pressure off the suspension and keep the skis and track from deforming under the weight of the sled all summer. Keeping the skis off the ground will help rust on carbides, especially if the sled is stored outside. 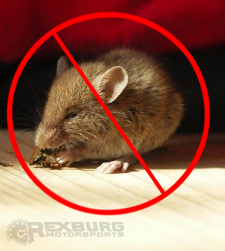 PROTECT FROM MICE: Rodents and other creatures sometime find their way into your sled for the summer. 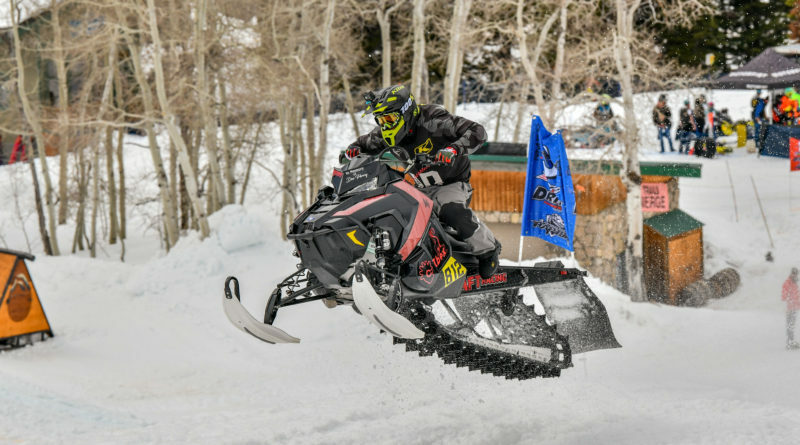 Steel wool works well at keeping mice out of the exhaust, and dryer sheets or moth balls around the sled will help deter other furry and creeping things from finding a summer home in your snowmobile. REMOVE BATTERY (if equipped): Take out the battery and put it on a float charger to extend the life of the battery and ensure it’s in good order when you go to ride your sled when winter comes. 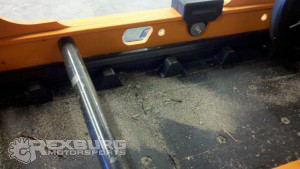 COVER IT: UV light from the sun will fade and weaken plastics as well as deteriorate the rubber in your track. If you don’t have a place to store it inside a garage or shed, at least invest in a snowmobile cover. Waterproof but breathable covers will help prevent moisture from building up on the sled and components. 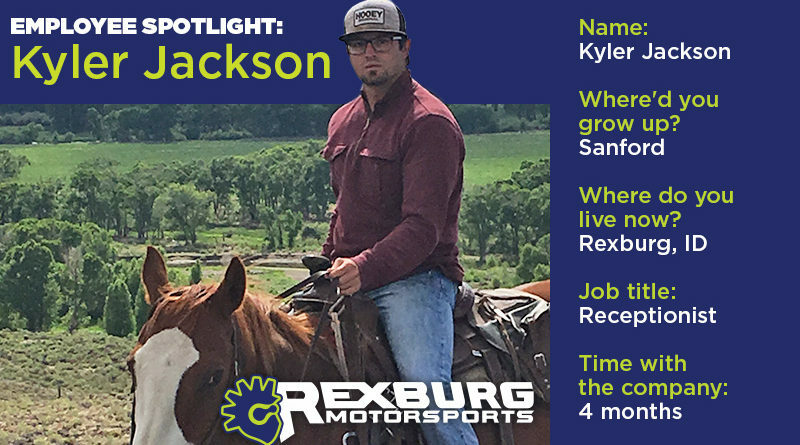 Copyright © 2019 Blog for Gearheads Like You. All rights reserved.